Drywall corner beads are prone to cracking. The outside corners are exposed to everyday abuse. Eventually you may notice pieces of drywall mud and paint flaking off the corner bead which will leave the bare metal of the corner bead exposed. Repairing drywall corner beads isn't a complex process, and you can restore the corner of your wall to its previous existence relatively quickly. This project will likely span a couple days due to the required cure time of the drywall joint compound. Apply drywall compound over fiberglass mesh tape to repair drywall corner bead. 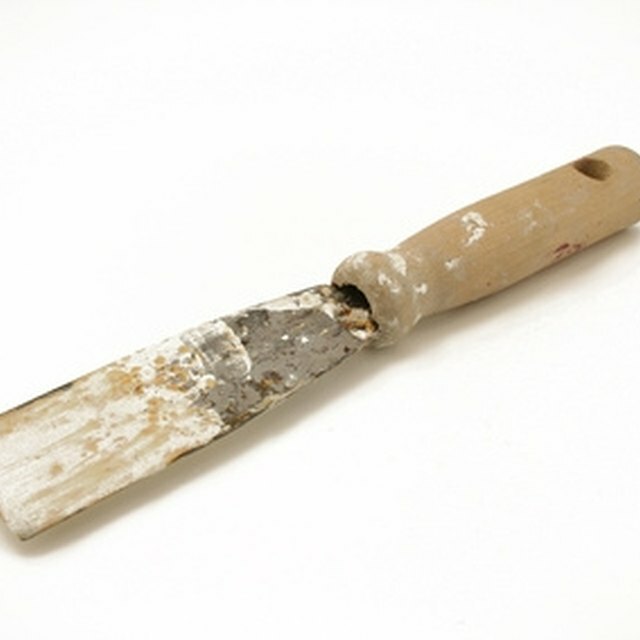 Scrape off any loose pieces of drywall and drywall mud from the corner bead with a utility knife. Push on the corner bead to check for loose areas. Staple or nail the corner bead to the studs in areas that flex. Prime the corner bead with a stain-blocking primer and allow to fully dry. Press fiberglass mesh tape into place over the corner bead. Allow the mesh tape to overlap onto the drywall. Use a 6-inch taping knife and apply a heavy coat of drywall joint compound over the mesh tape. Allow to dry and follow with a second and third coat of drywall joint compound using an 8-inch taping knife. Sand the area smooth with a drywall sanding block. Texture the repaired area to match the surrounding texture. Prime and paint the area to match the wall color. Wear a dust mask when sanding the joint compound to prevent inhalation of the dust.